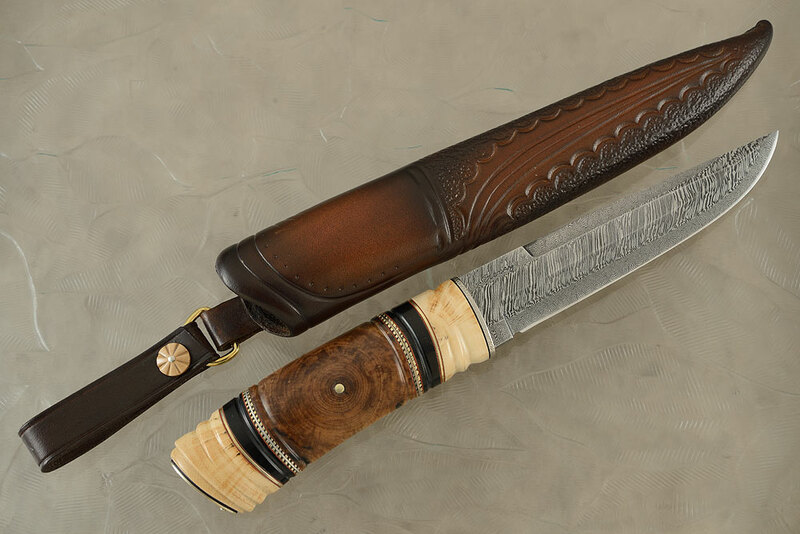 Description: Award winning Swedish knifemaker Henry Hildén created this exquisite sole authorship Nordic hunter. The fit and finish throughout is exceptional. 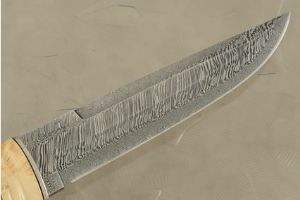 The multi-bar composite damascus blade was forged from carbon steels. 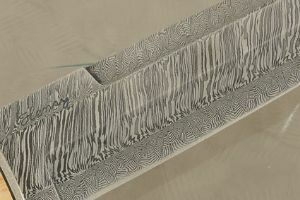 Basketweave pattern edge and spine bars surrounded a twisted Ws pattern damascus central bar. 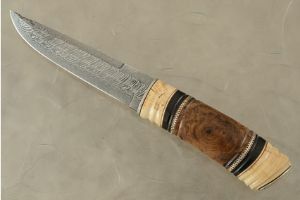 Hilden's grind lines nicely reveal the intricacies of his damascus. 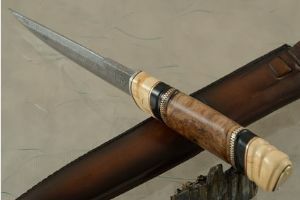 The handle combines presentation grade oak and mammoth ivory. By crosscutting the wood and ivory, Henry shows off its inherent figure and provides tremendous contrast. 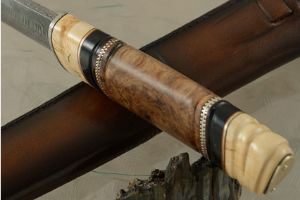 Buffalo horn, along with hand fileworked Sterling silver and brass spacers, provide a nice contrast. 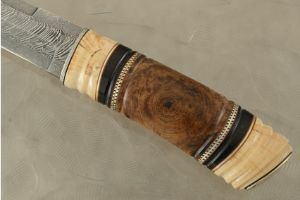 The handle is completed with a textured nickel silver end plate. 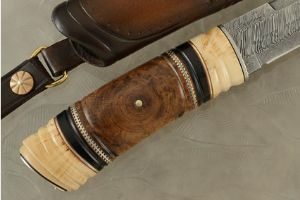 The knife is accompanied by a traditional Swedish leather sheath. The loop is sealed with a mammoth ivory pin. Exceptional work throughout from one of the great Swedish knifemakers!